Lamishield – is a foam plastic cover application. 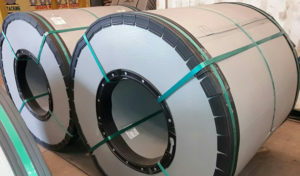 Lamishield is a foam plastic cover for application on steel coils, cable drums or other products on reels. – Also available as “donuts”. – Excellent impact absorption, strong and durable. – Light-weight compared to alternative solutions. – Fully waterproof and both reuseable and recyclable. – Suitable for both manual and automatic packing.